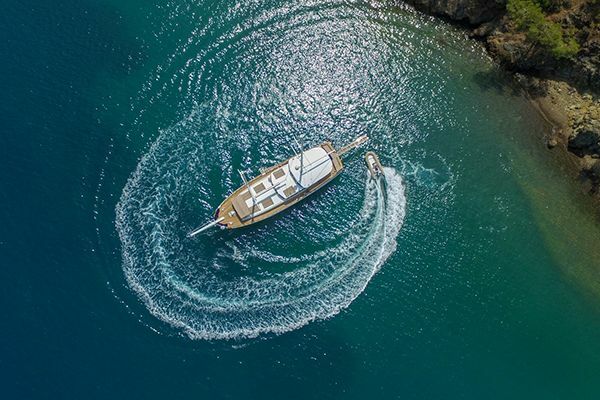 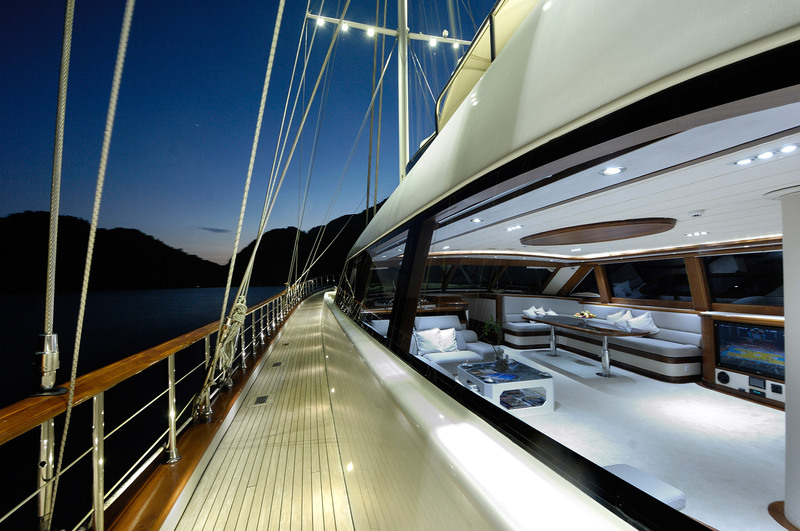 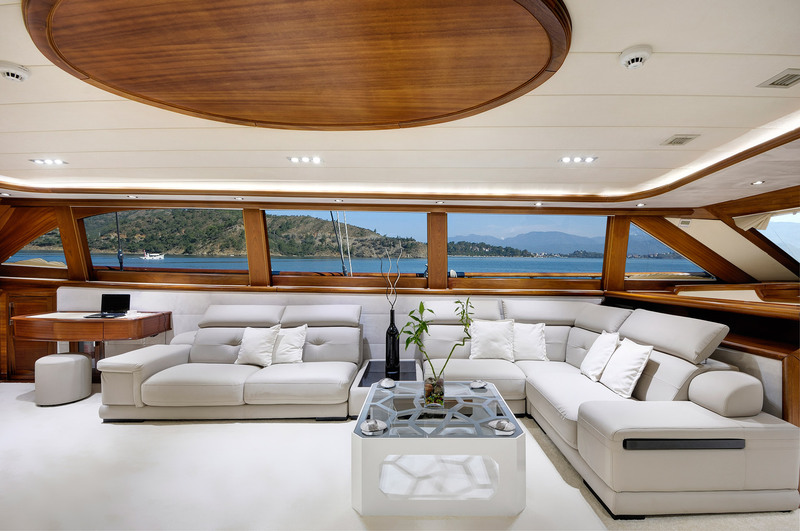 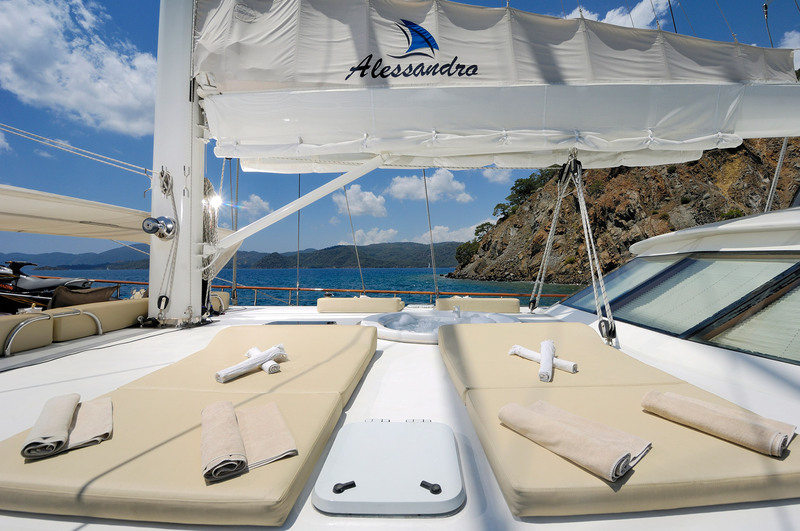 The Alessandro is a sleek, ultra modern VIP Gulet built in Fethiye with a design marrying the comforts of gulet life with contemporary motor yacht style. 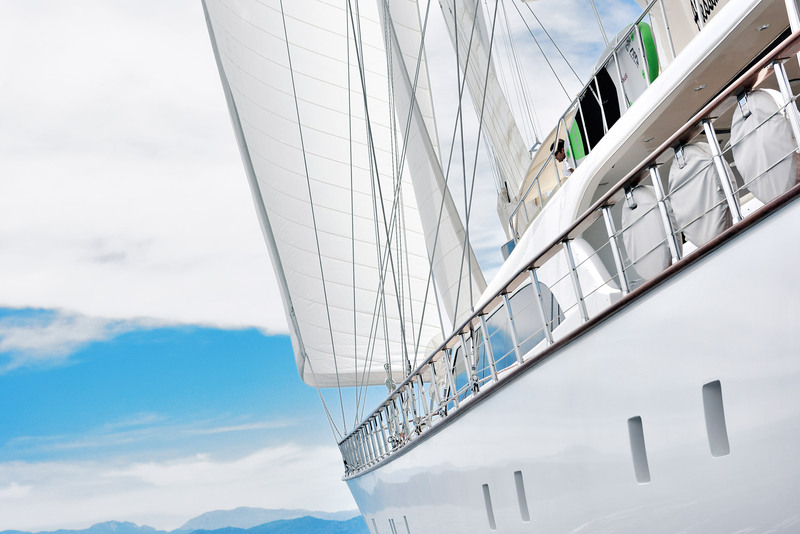 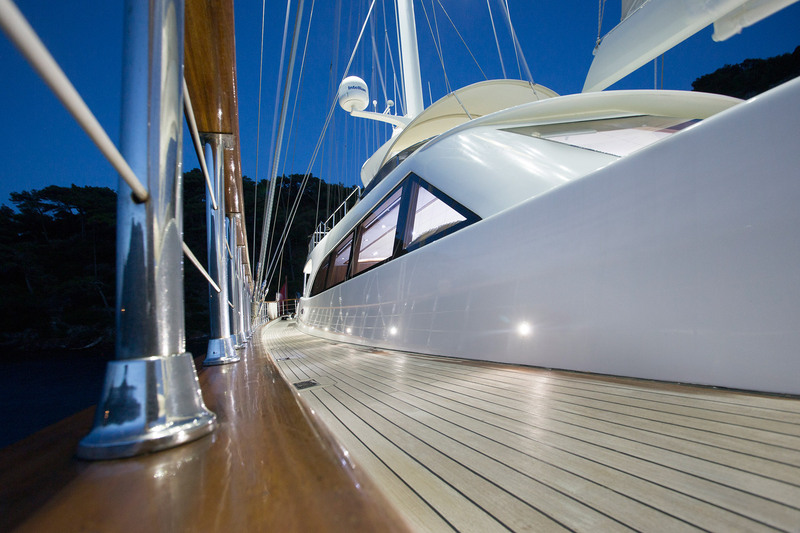 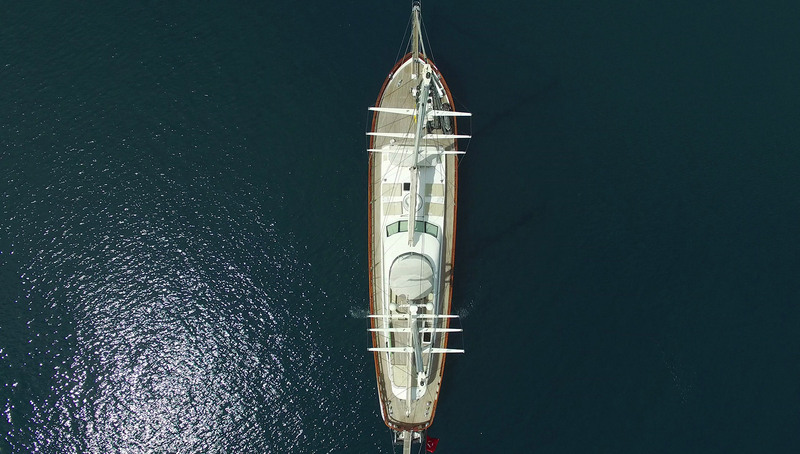 The designers have successfully produced a powerful motor sailer capable of carrying up to ten guests on a premium luxury private yacht cruise. 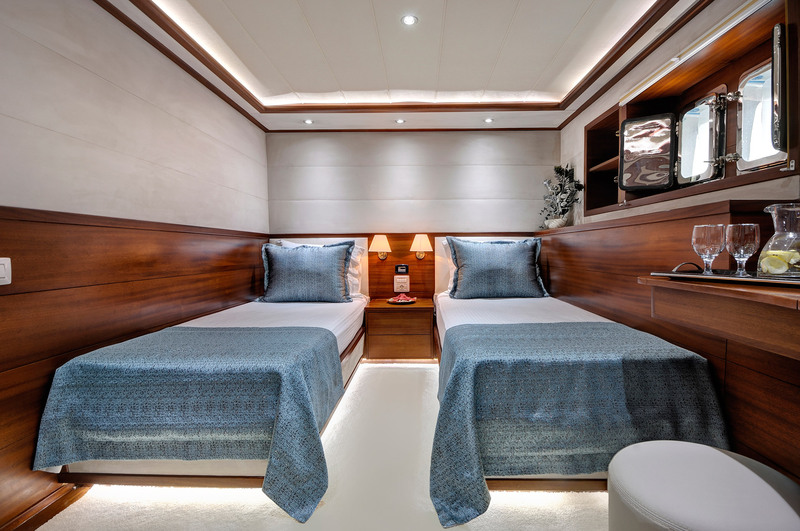 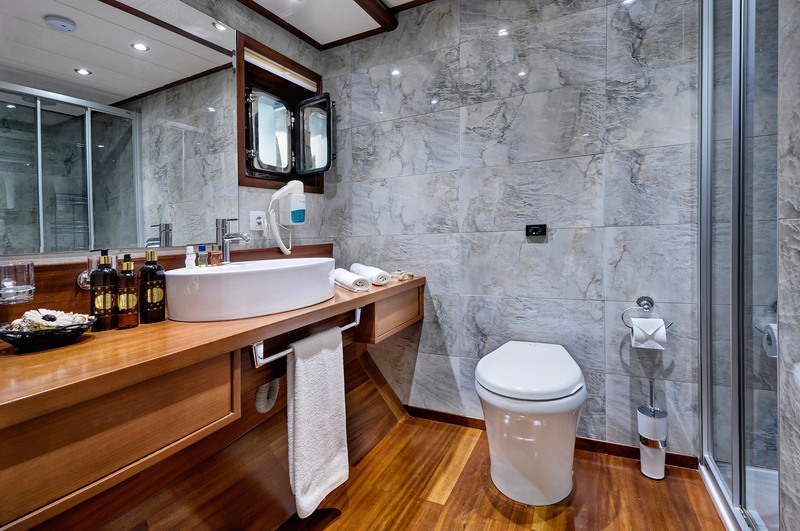 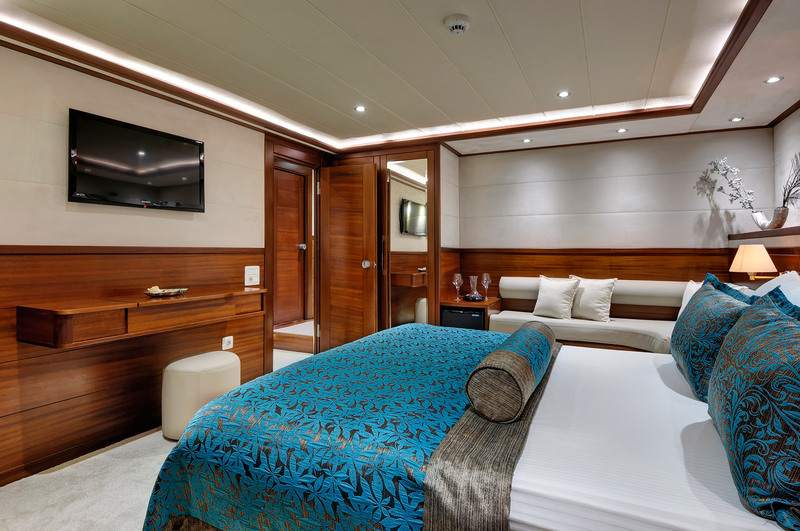 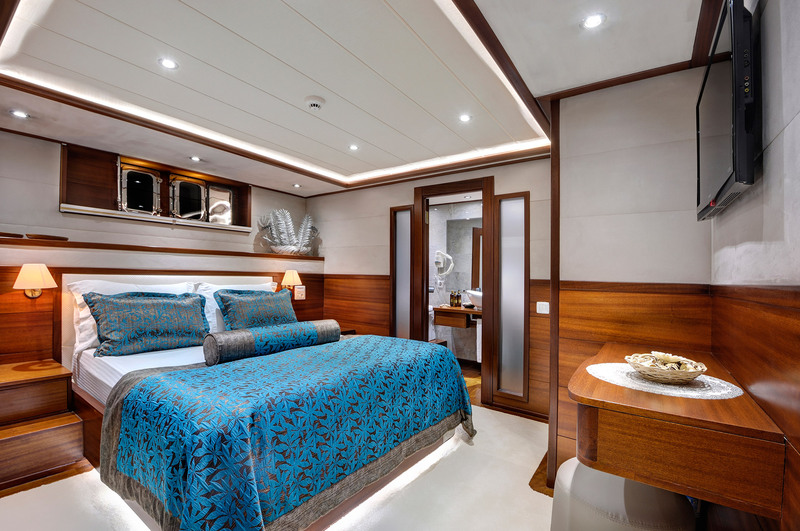 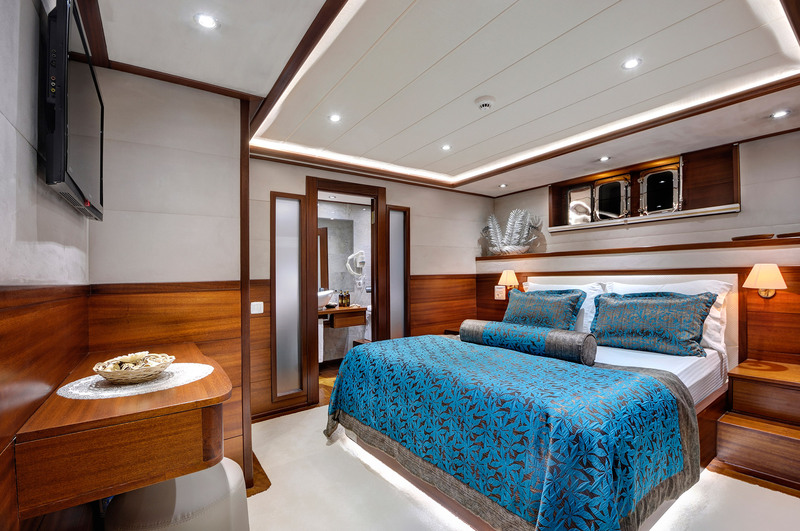 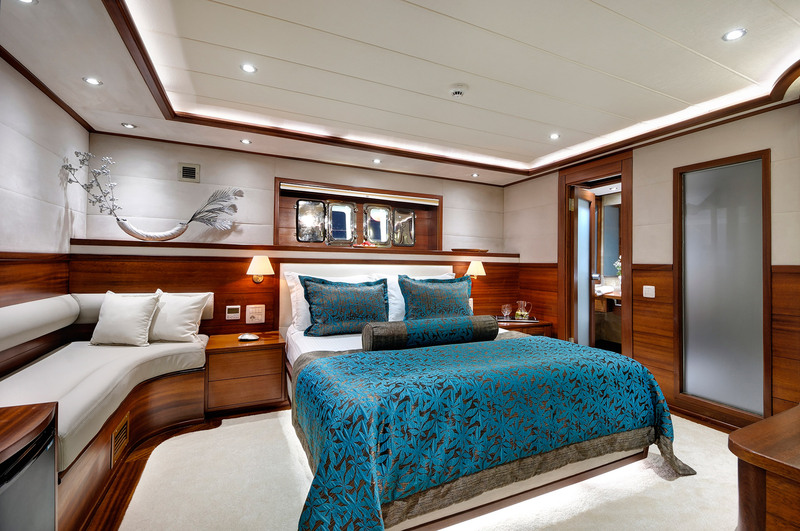 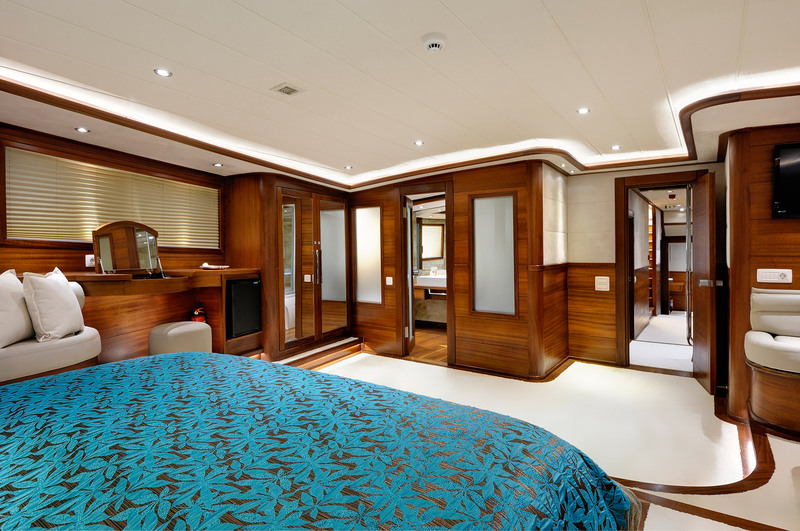 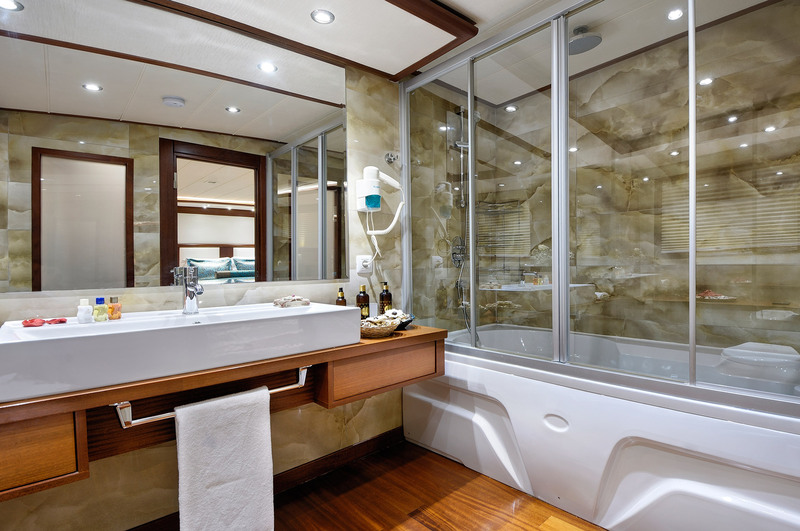 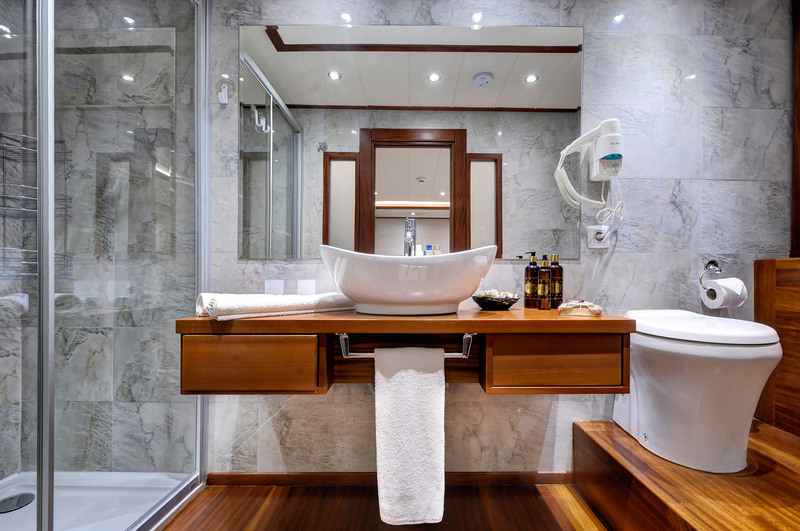 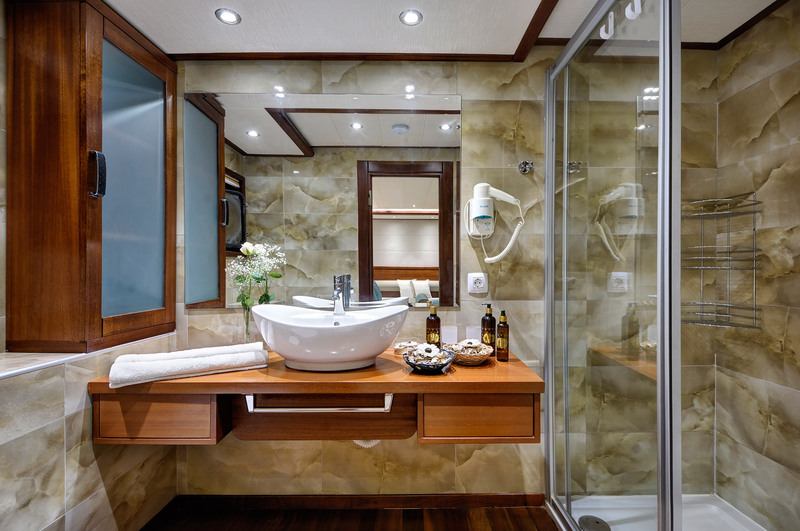 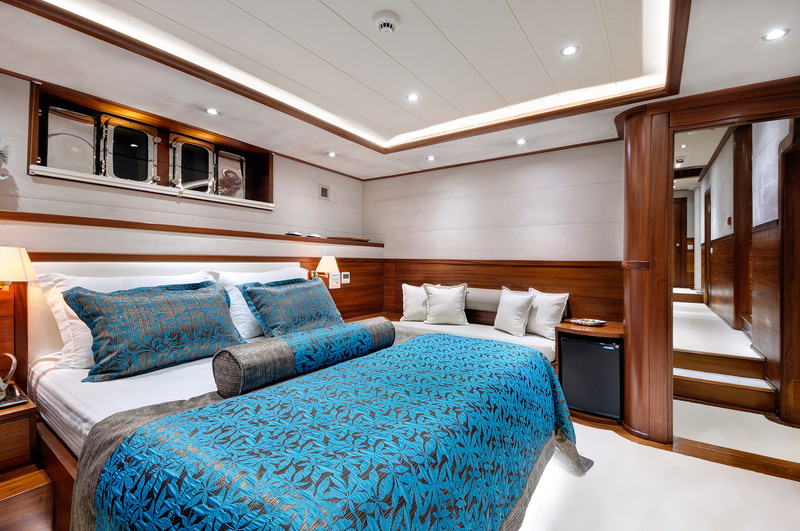 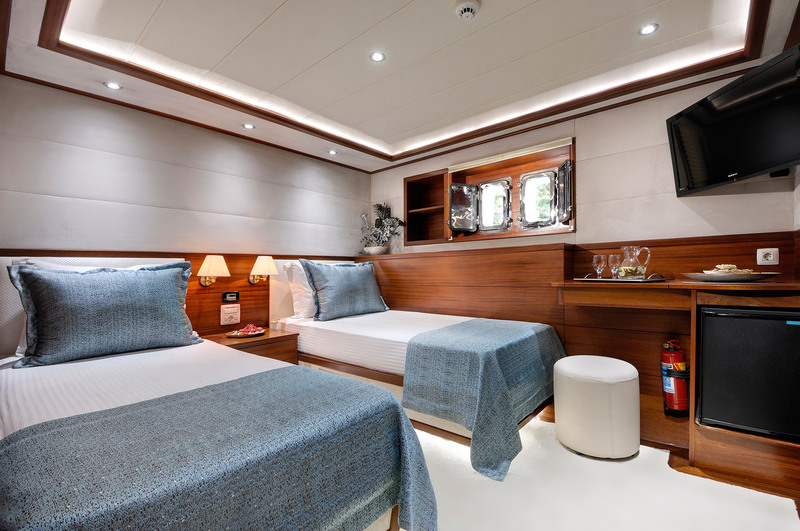 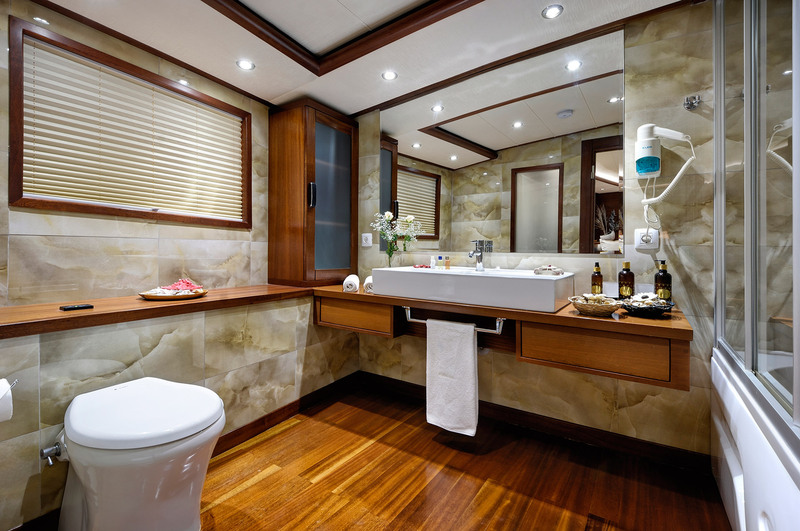 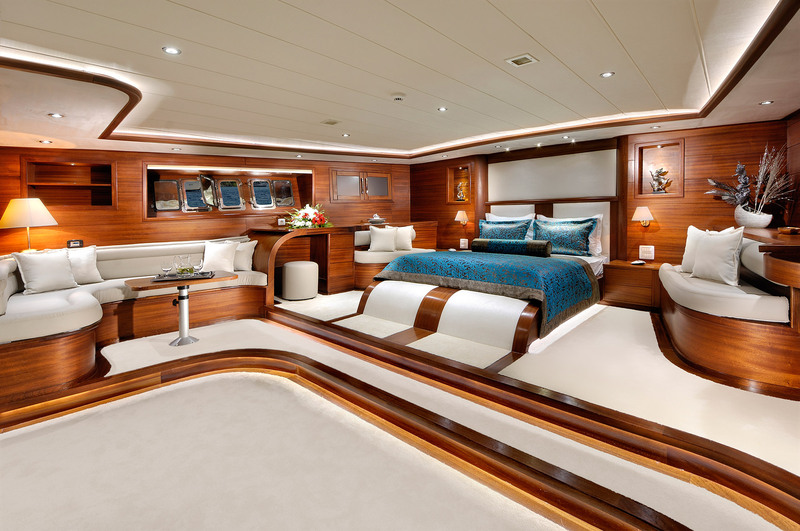 The large master cabin suite enjoys the space of the full width of the stern, with a luxurious marble lined bathroom complete with a jacuzzi bathtub, bench sofas, storage, minibar and LED TV -DVD system. 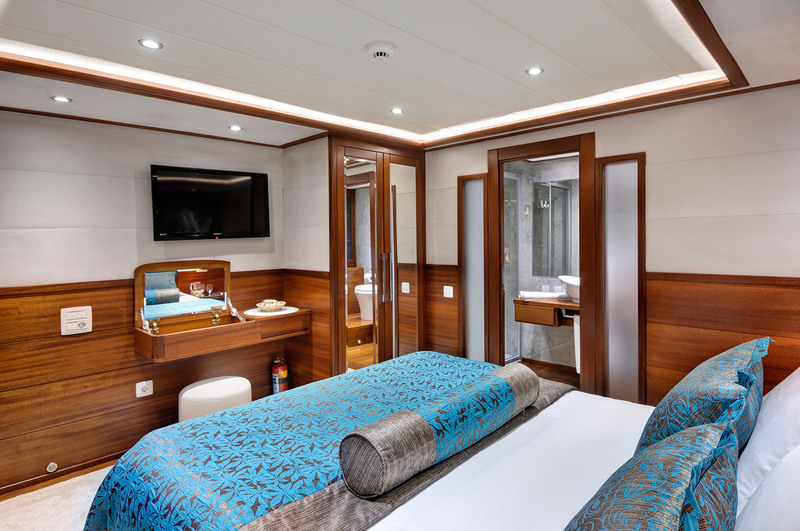 Three roomy double bed cabins and one twin bed cabin all have their own well-appointed bathrooms, LED TV/DVD systems, and all cabins are air-conditioned throughout. 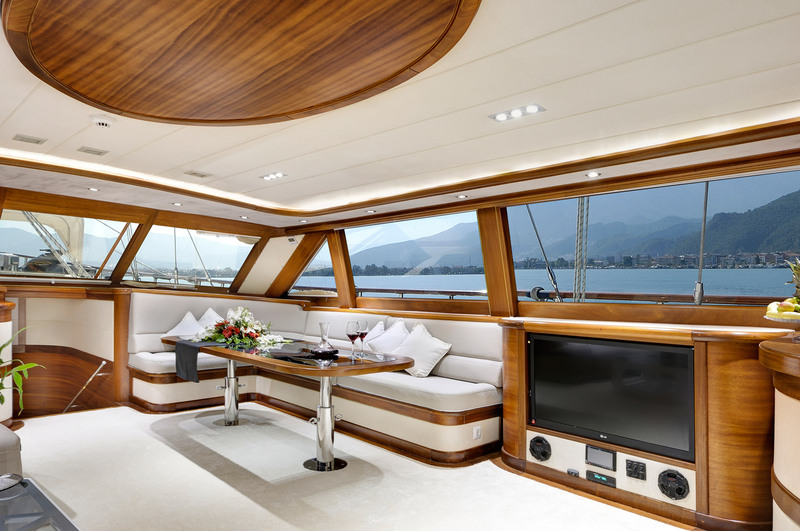 The spacious and luxurious indoor saloon is both a relaxation and entertainment area with bar, Plasma TV and a formal dining table to one side and a sitting area with designer sofas and coffee table to the other side. 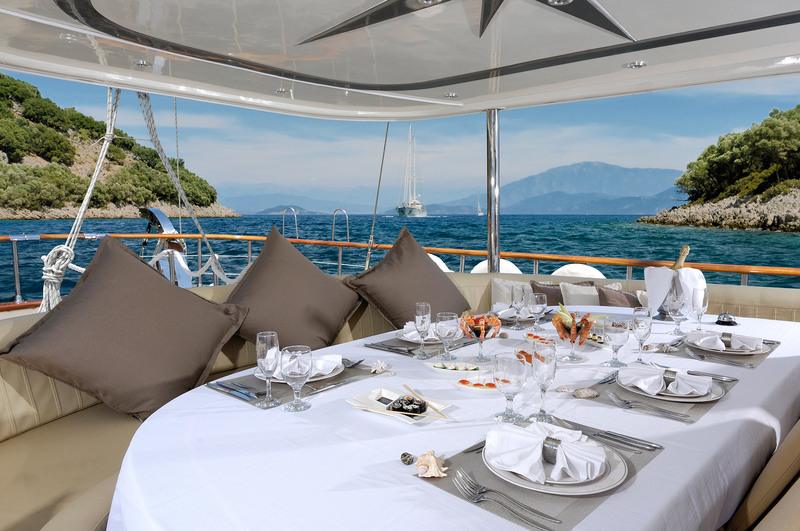 The outdoors shaded table area offers a delightful alfresco dining experience by day, while at night the lighting and presentation offer the most sophisticated entertaining experience. 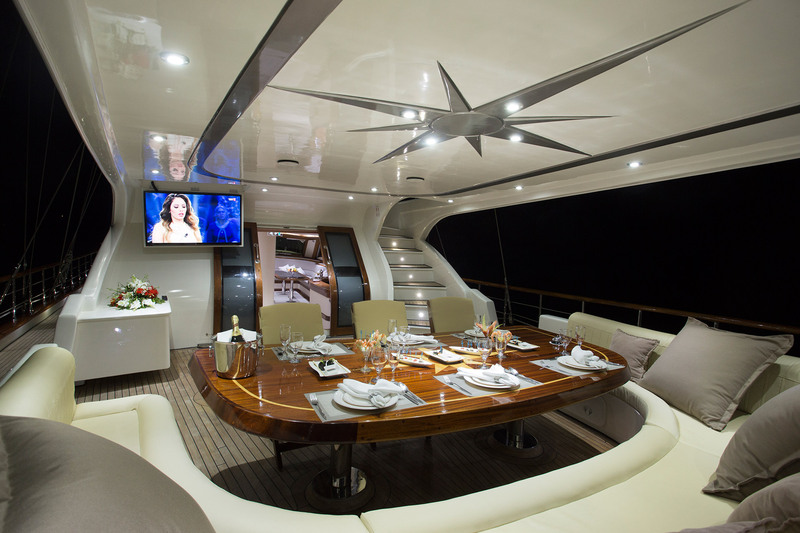 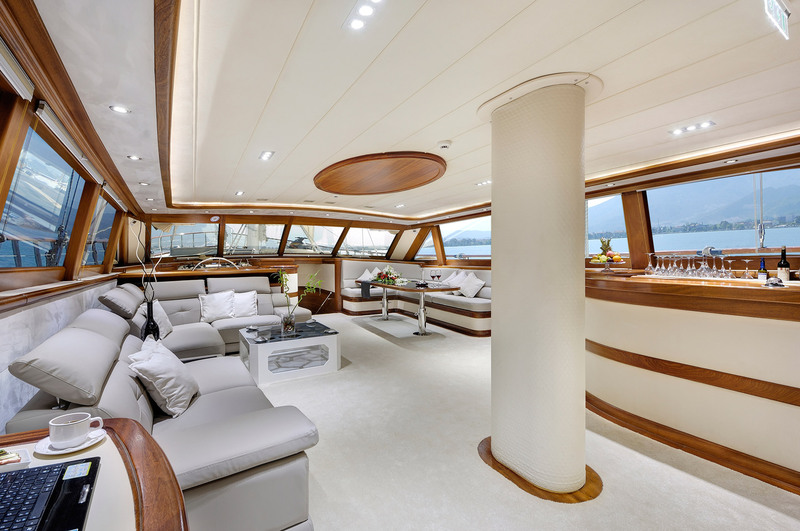 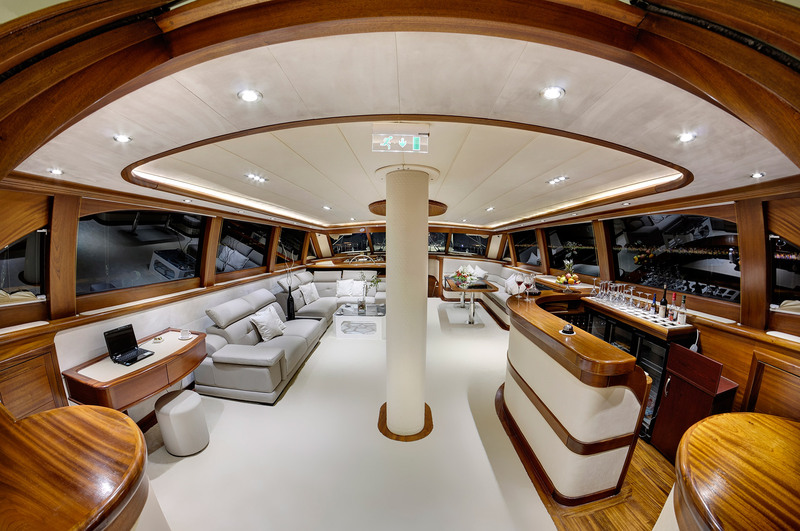 The fly deck above the main deck is a magnificent retreat from where the ever-changing views of sea and coast can be absorbed. 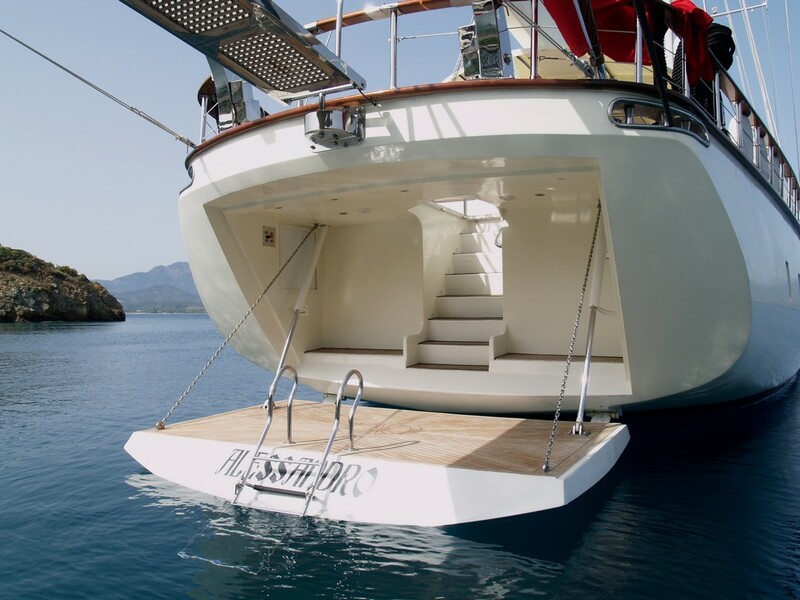 The flydeck has a sunpad for more private sunbathing, while the foredeck offers all guests double sunbeds plus a deck jacuzzi. 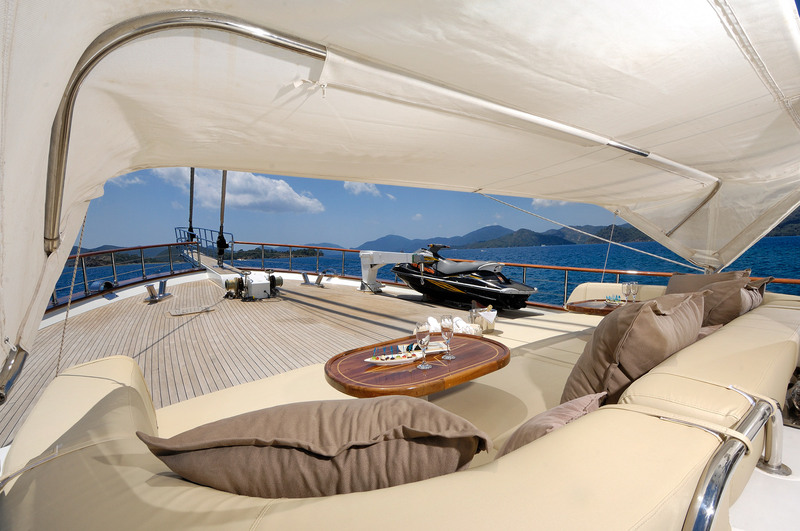 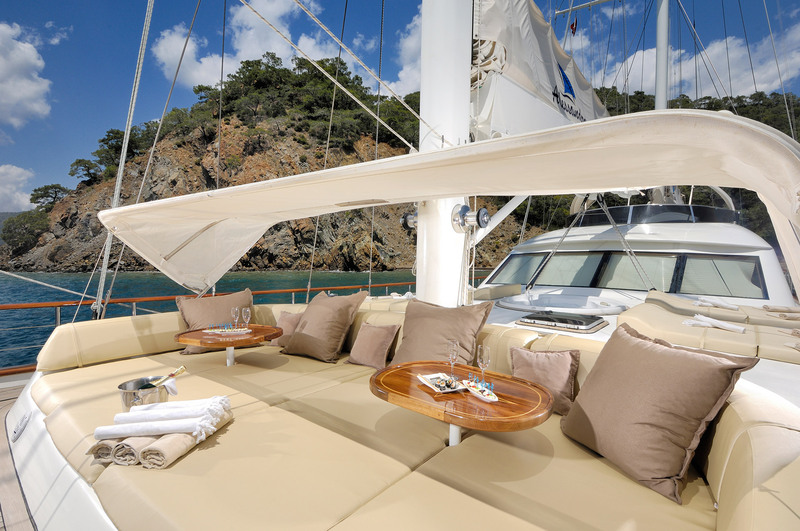 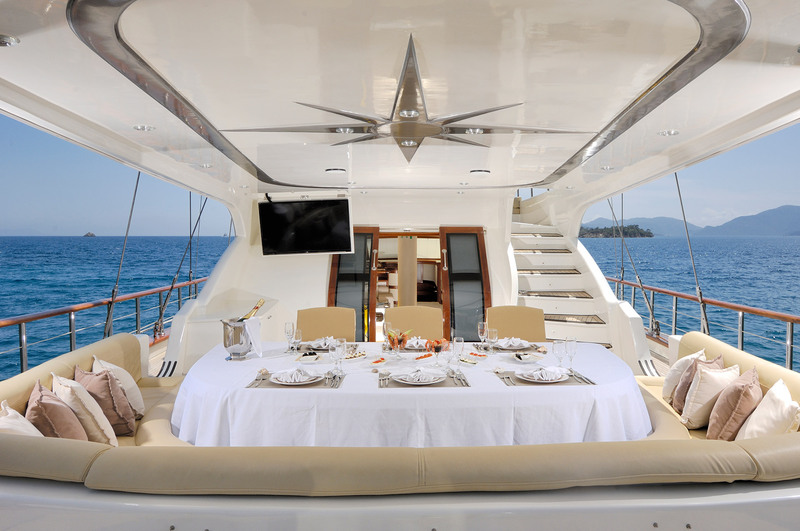 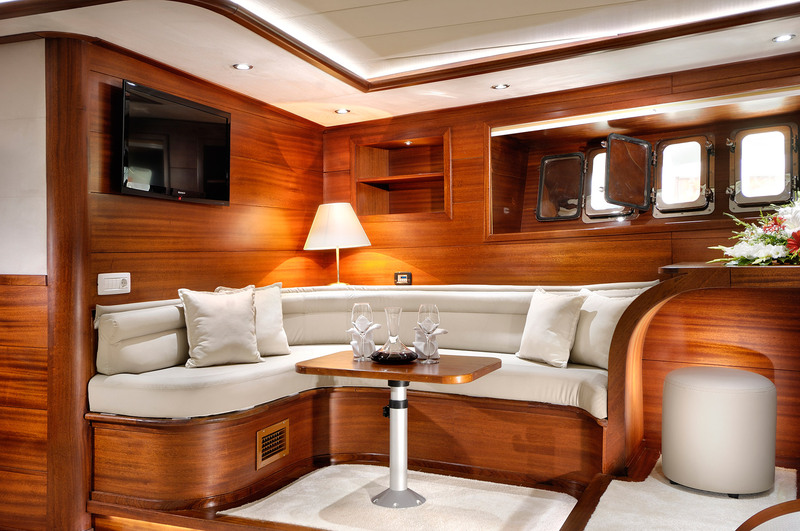 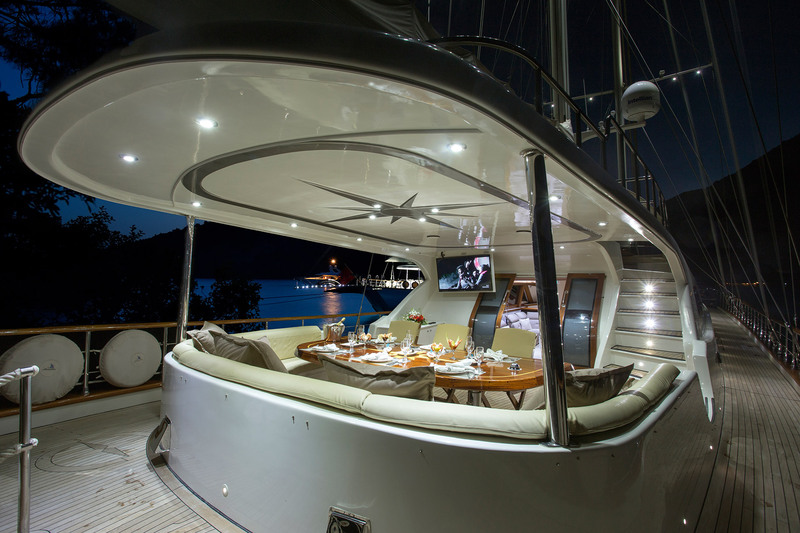 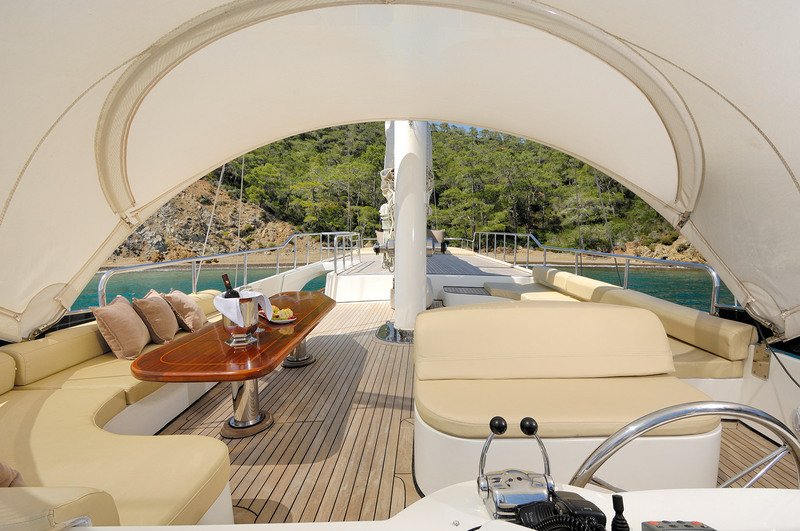 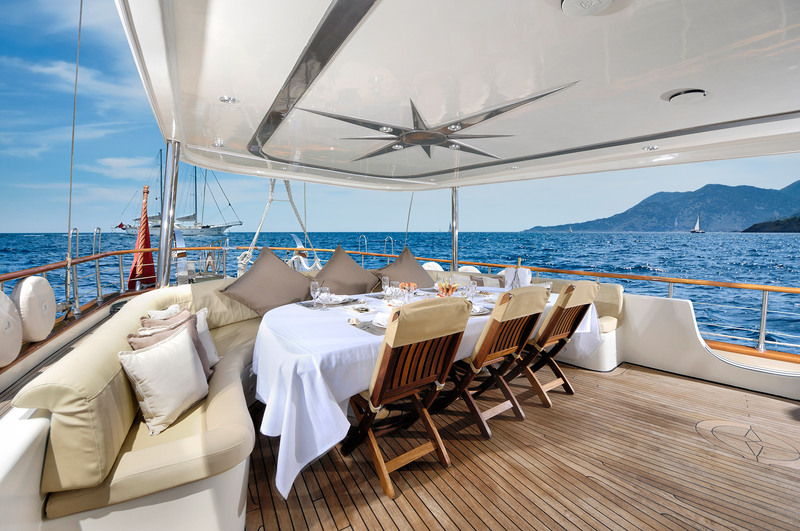 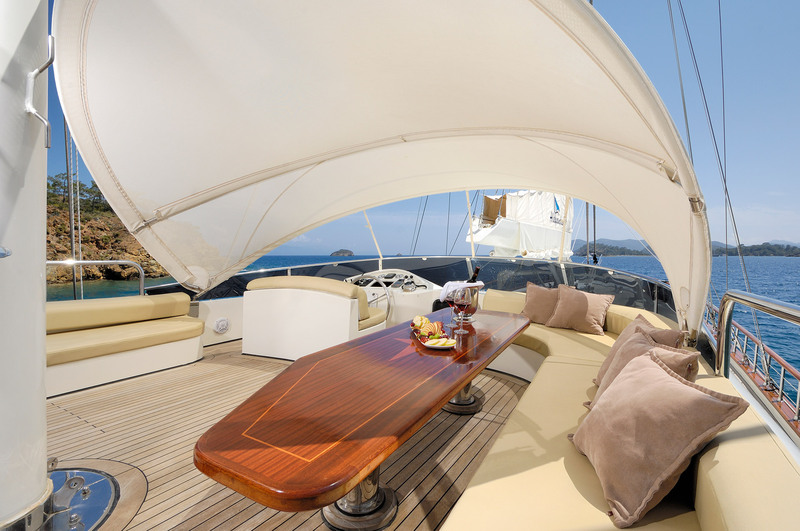 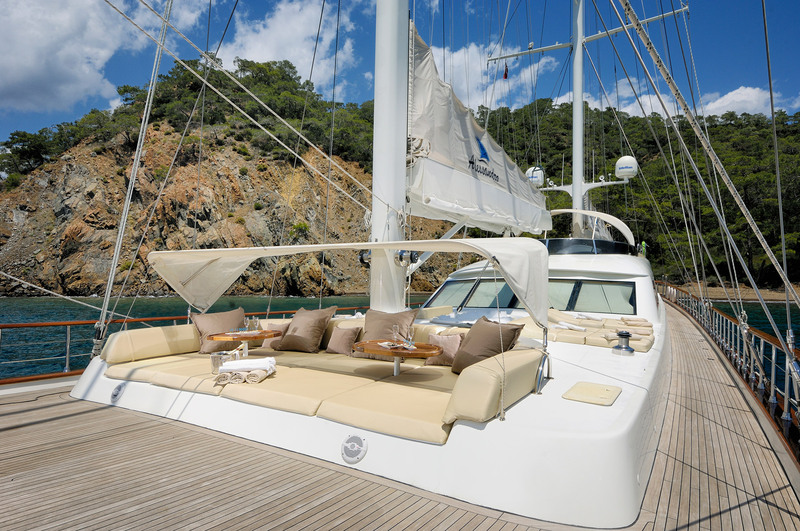 The lusciously deep bow seat is more of an enticing sunpad which can be shaded by the bimini opened overhead, and is the perfect place for relaxation with a drink at any time of the day. 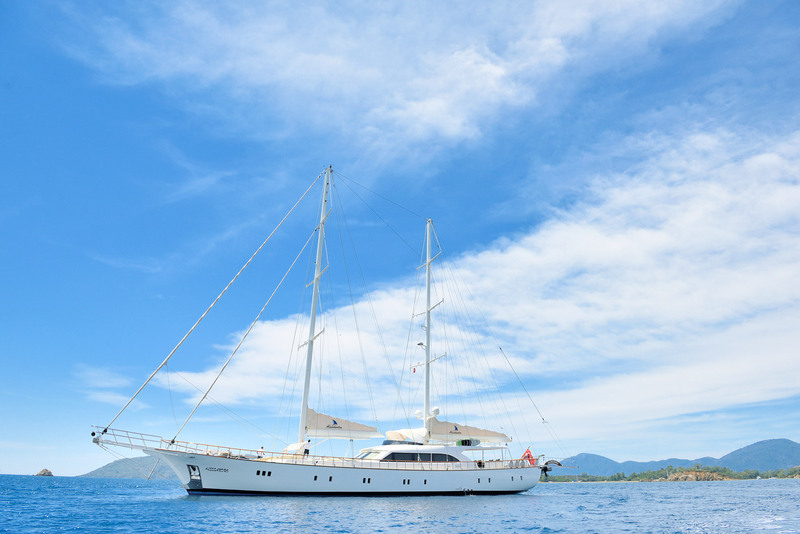 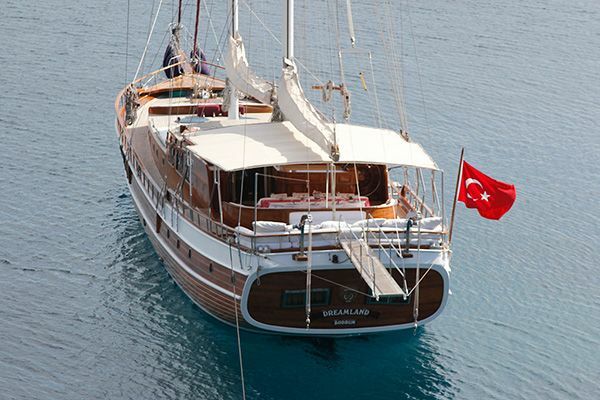 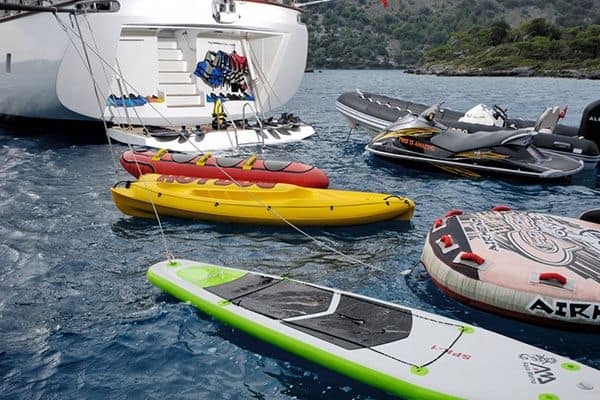 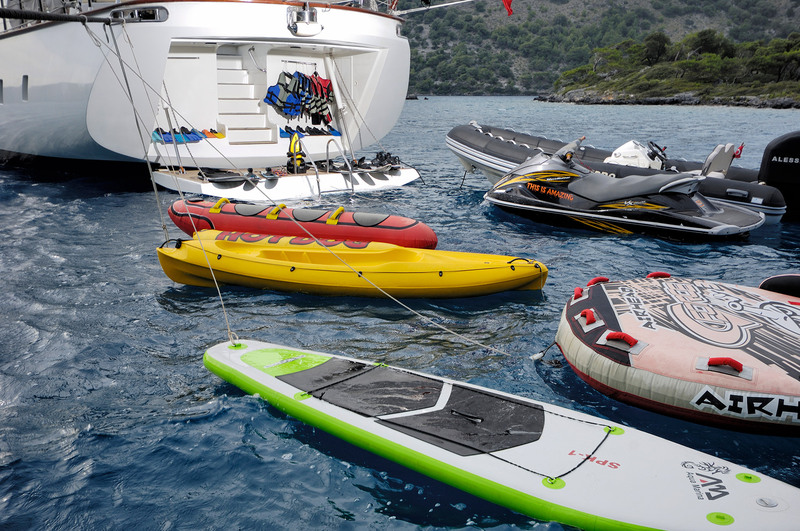 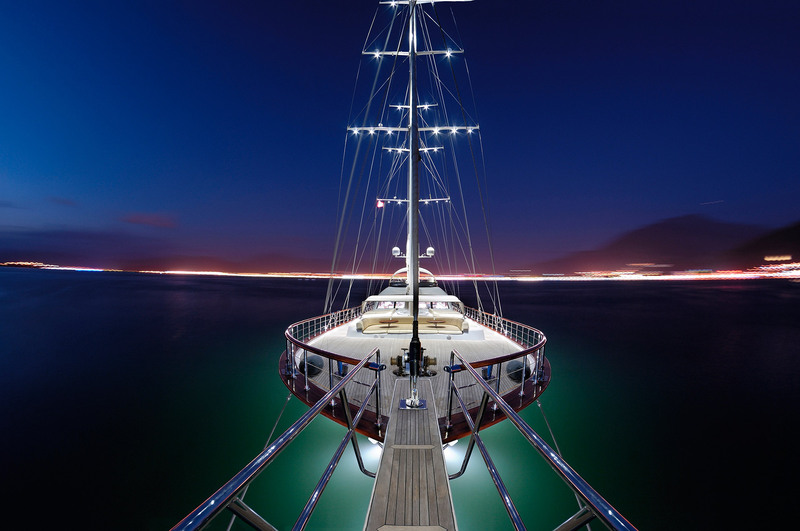 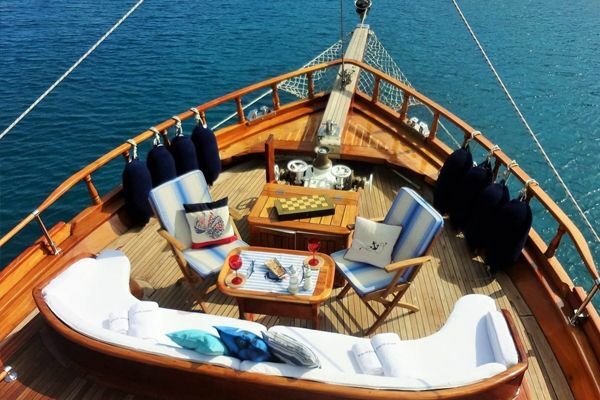 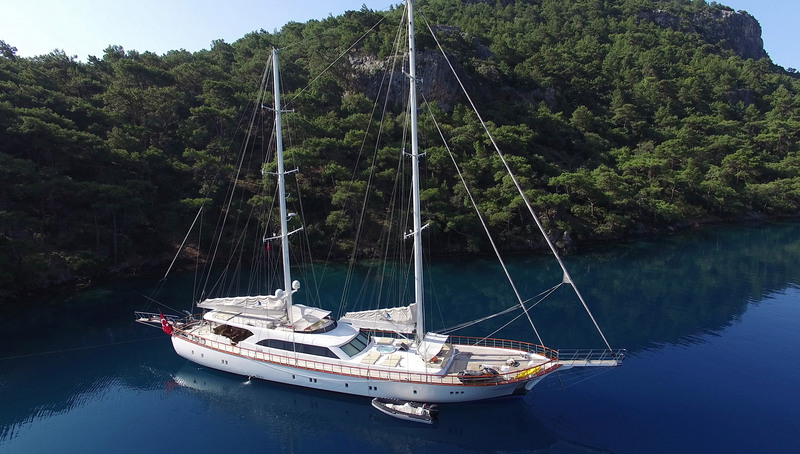 Guests who enjoy the water sports and activities are well served with the easy access to the water via the hydraulic swim platform in the stern where all the water toys available on the gulet can be deployed. 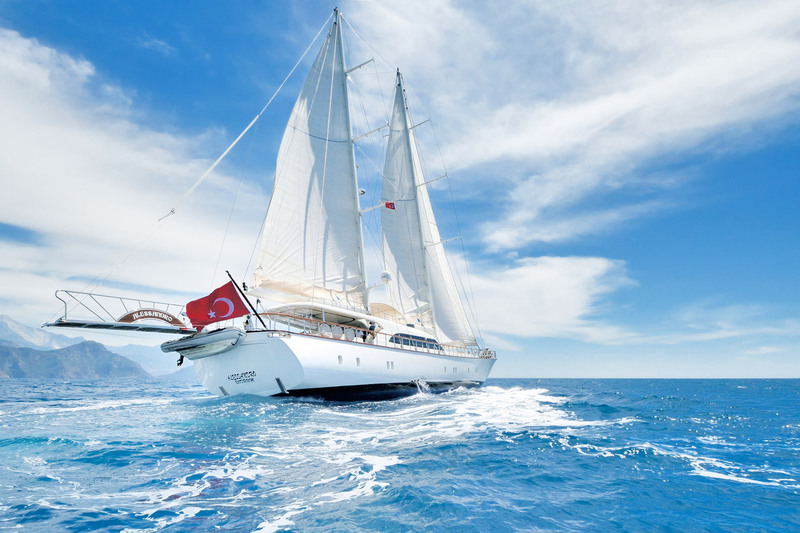 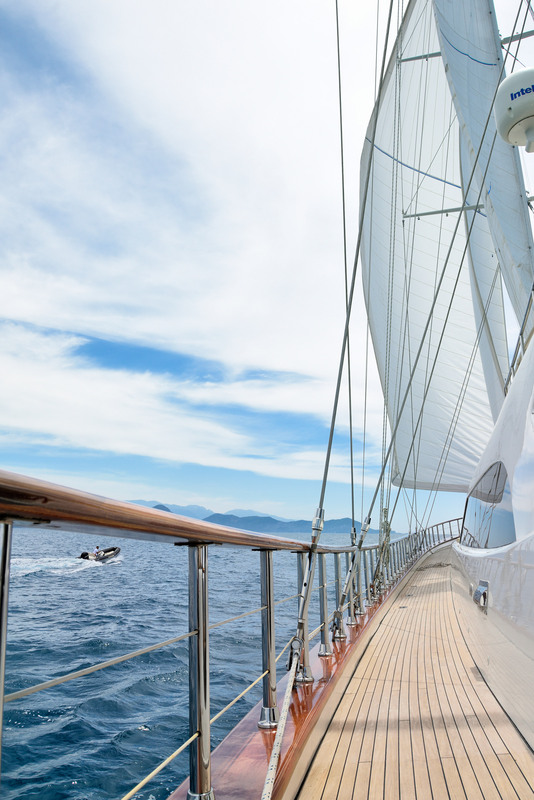 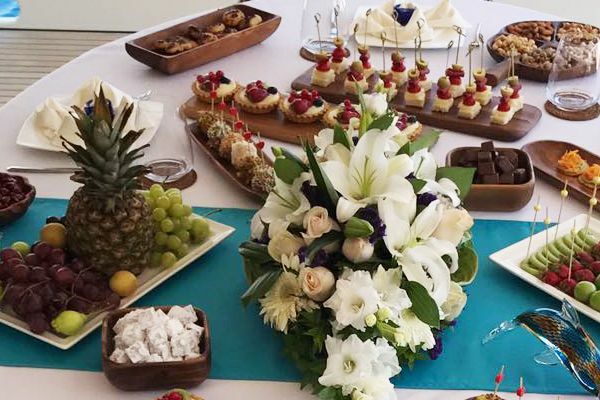 The captain, chef, steward or hostess and crew are the highly trained professionals who are both friendly and discrete and keep the yacht in peak condition, and see the guests enjoy a memorable, luxury gulet cruising experience. 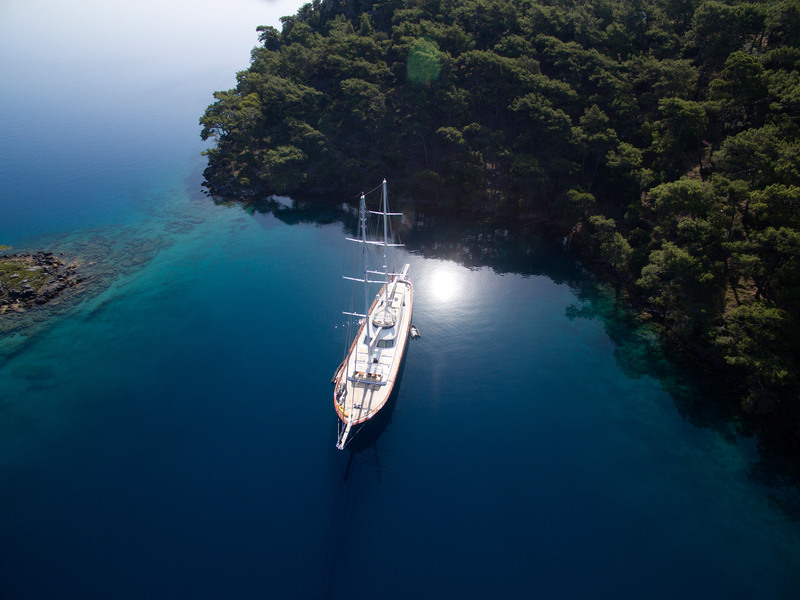 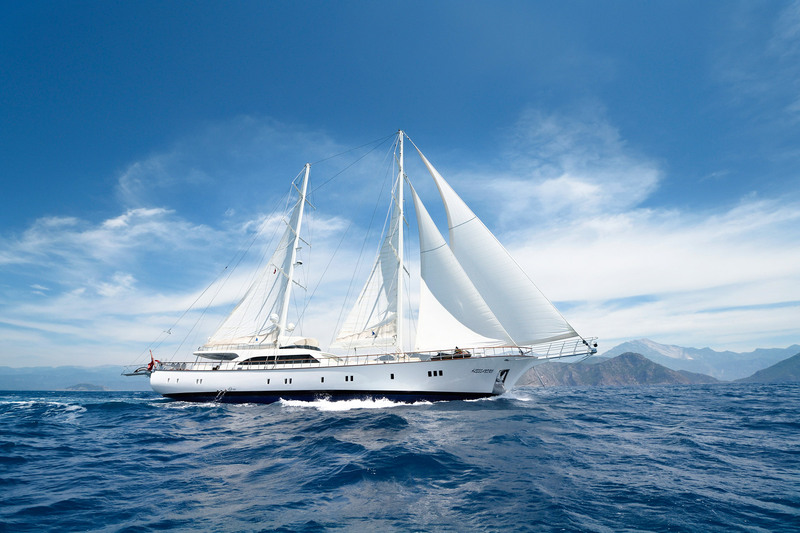 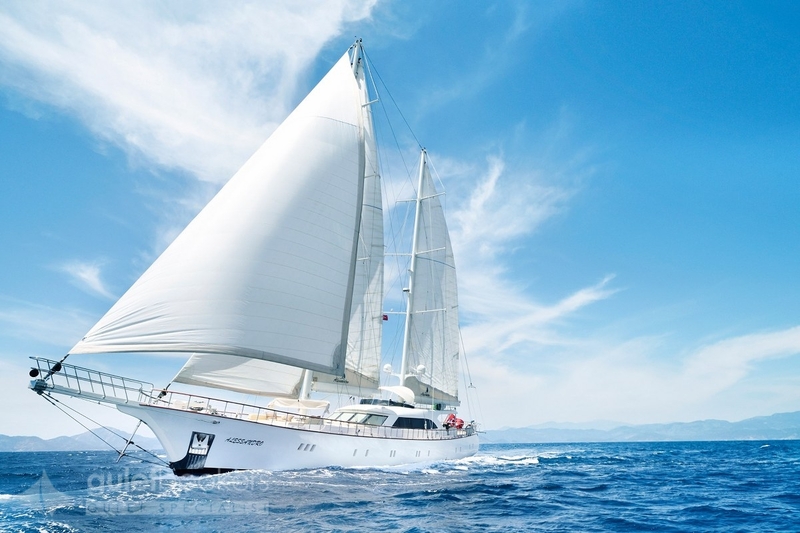 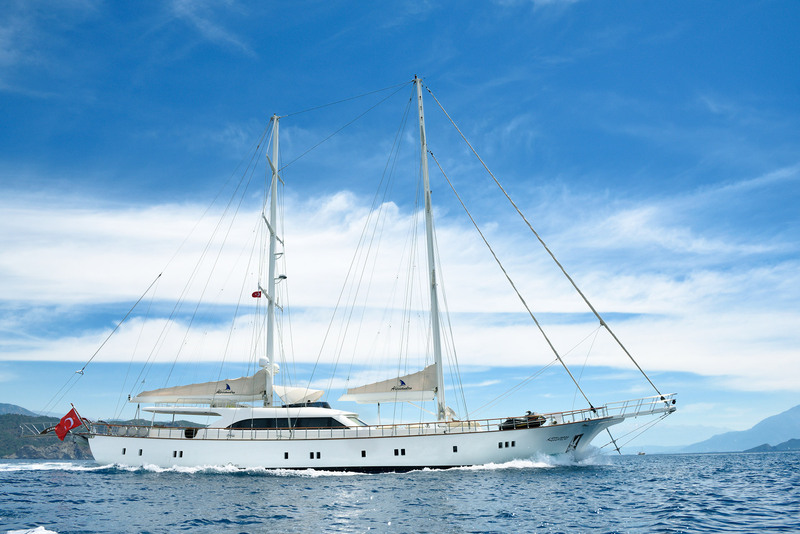 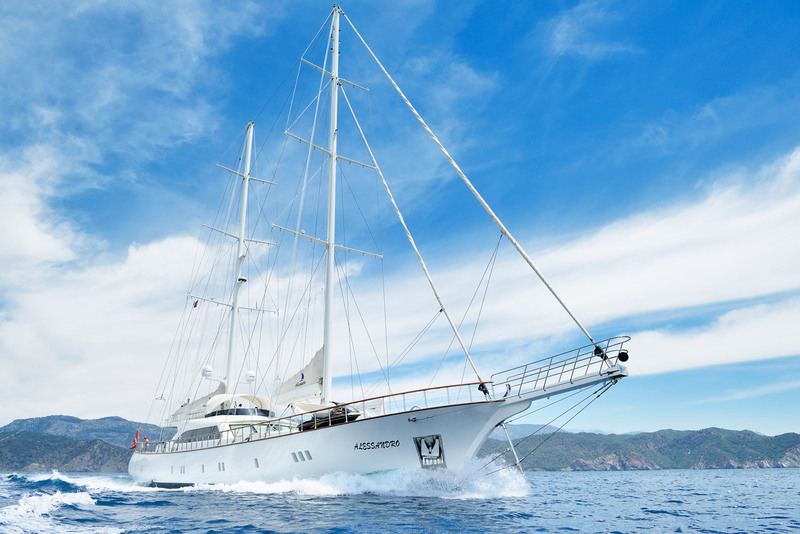 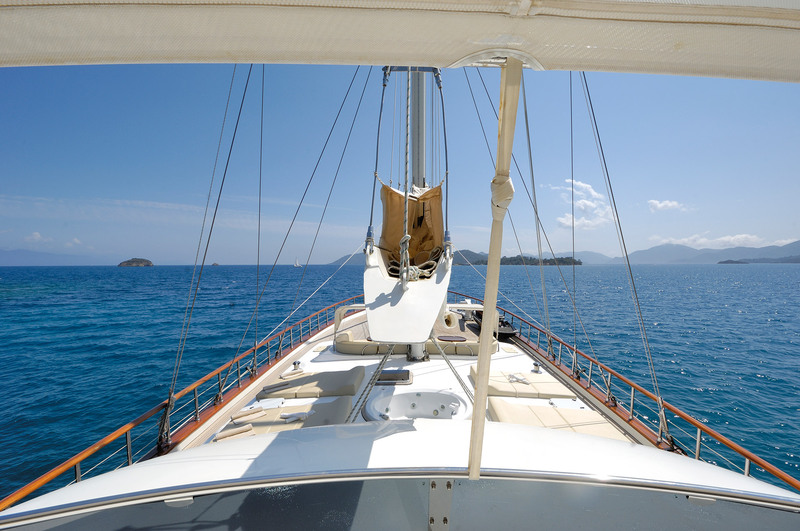 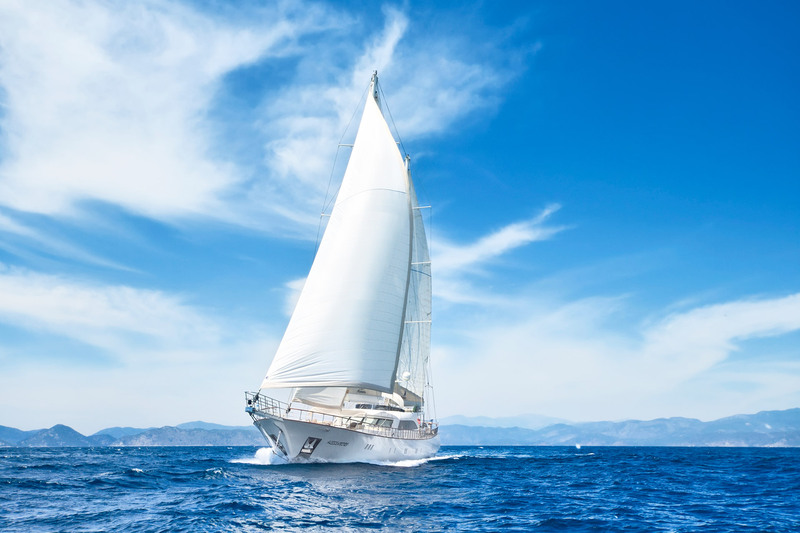 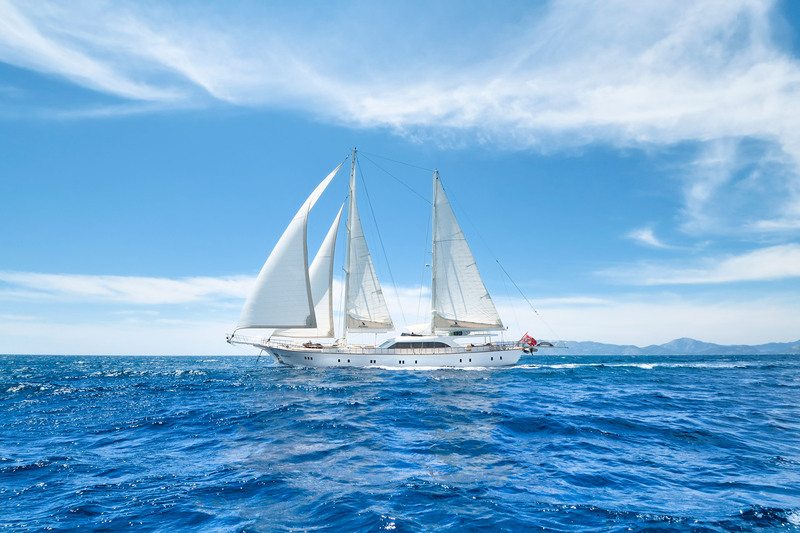 The Alessandro offers a unique gulet style cruise by being available out of Croatia into the peerless Dalmatian Islands for luxury crewed yacht cruise.